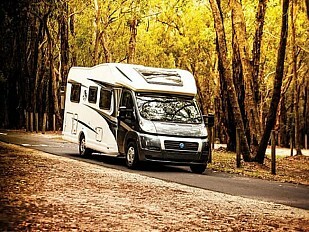 If you’re going to set out on that big adventure and plan on being away in your new van for longer than a weekend, you can almost be certain that at some point on your journey you’re going to have drive in, sit in and entertain yourself in the rain. From driving safely to making sure the kids don't drive you mad, we thought we’d map out what we think are the best wet weather hacks for your next trip. Be prepared - Even if it’s a beautiful sunny day when you depart to make sure you are prepared for all weather situations. Have your car and van serviced and make sure your tyre tread is at its maximum for gripping on the wet roads. Check your van for potential leaks and check window and door seals. Slow down - It sounds like common sense but sometimes sense isn’t that common! Especially when towing, remember to slow down and take your time in the wet. Leave a few extra days just in case you get stuck in that storm and you need to pull over to let it pass. Make sure you leave extra distance for stopping and remember to slow right down around the bends. 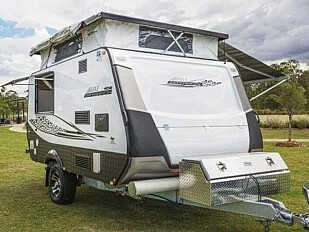 You don’t want your new caravan to slide out and end up damaged. Carry that little bit extra - When you feel there will be a chance of a storm on your journey make sure you pack to make the most of it. Extra tie down straps, some extra essential food and water supplies and warm clothes. If mother nature does s=decide you’re not going anywhere for a few days, there’s nothing you can do but laugh, stay dry and wait it out. She’s the boss so you just have to play by her rules. Pack a wet weather emergency box - Not all emergencies are life threatening, but if you have kids with you it could be mentally draining if you haven't thought ahead. With all the technology in the world, you’re only going to keep them occupied for a certain amount of time without mixing it up. Have a pre-packed box filled with coloring in books, arts and crafts, card games and activity books to keep them amused when there’s nothing else to do. Watch out for wind and hail - It’s not just the rain that comes with storms that could cause you major problems. Awnings and wind don’t mix, so if you see a wind gust coming your way, best to wind up the awning. The same goes for those relentless balls of ice that can come out of nowhere. You don't want to fork out for a new awning when yours gets pelted by hail and starts resembling swiss cheese. Lastly, Laugh it off - Rain doesn’t last forever and if you get stuck in the bad weather it will make you appreciate all the great weather you have along the way as well. Take the time to stay in bed longer, enjoy a game of cards and relax while you can, because when that sun comes out there will be plenty of exploring to do and you’ll be missing the rest you had when it rained. Just remember no matter what kind of weather you encounter on the road, it sure beats being back home working! 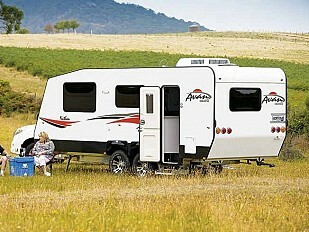 Next Next post: What Type of Caravan Suits your Travel Style?